Suki Concentrated Balancing Toner (120ml) is infused with a blend of powerful active vitamins and nutirents that work to calm and manage irritated, sensitive and blemished skin. Enriched with white willow bark extract and vitamin C polypeptides, it acts as an anti-inflammatory, helping to reduce redness, swelling and discomfort, leaving your skin balanced, clear and healthy looking. Soak a cotton ball and sweep over the skin until it comes away clear. 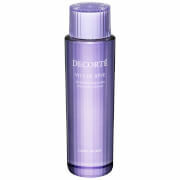 To hydrate throughout the day, mist over face neck, and chest. 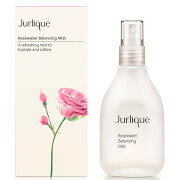 High-Potency (Aqua, Organic Rosa Centifolia) Rose Concentration, Organic Alcohol Denat (Sugar Cane Extracted With Lavender Oil) With Lavendula, Phospholipids (Liposomal Delivery System), Salix Alba (Tlc Salicylic Acid From White Willow), Ascorbyl Palmitate (Tlc Vitamin C), Calming Complexion Complex (Chamomilla Recutita (Matricaria Chamomile) Flower Extract, Organic Rosa Canina (Rose Hip) Seed Extract, Calendula Officinalis (Calendula) Flower Extract), Vegetable Glycerin, Organic Aloe Barbedensis (Aloe) Leaf Powder, Melaleuca Alternifolia (Tea Tree) Leaf Oil, Organic Ascophyllum Nodosum (Seaweed) Extract, 100% Pure (Fragrance) Essential Oils, Linalool*.